His wife’s favorite ice cream flavor was “oyster.” James Madison is pictured. James Madison was the fourth president of the US and one of the primary thinkers behind the US Constitution. In his personal life, Madison was extremely introverted and a voracious reader. Here’s a look at his daily routine, which involved reading, writing, and occasionally racing his wife Dolley around the porch of Montpelier. James Madison accomplished a lot. Over the course of his long political career, he served as a member of the Continental Congress, US representative, and Secretary of State in the administration of his close friend Thomas Jefferson. He was also elected president in 1808. Madison’s legacy as commander in chief was decidedly mixed. He’s considered one of the worst presidents of all time when it comes to his foreign policy. Also, there’s the small fact that the British swooped in and burned DC during his tenure. But primarily, he is remembered as the “Father of the Constitution,” thanks to his crucial contributions to the supreme law of the US. Madison would rise early. When he wasn’t traveling or living in DC, his primary residence was Montpelier, a plantation house in Orange, Virginia. 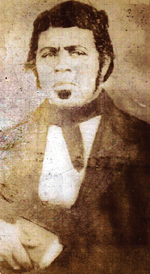 Paul Jennings, Madison’s enslaved valet, would help him dress every morning. At the age of 15, Jennings helped save Gilbert Stuart’s famous portrait of George Washington before the British burned the White House. Later in life, Jennings was purchased and freed by Daniel Webster. He also published an autobiography detailing his experiences as a slave. Madison enslaved over 100 men, women, and children during his lifetime. Upon his death, he did not emancipate his slaves in his will. Reconstructed slave quarters at Montpelier. Breakfast would commence around 8 a.m. or 9 a.m. at Montpelier — although Madison would eat as early as 7 a.m. in DC. The Madisons frequently entertained visitors. According to one guest, writer and US Navy Secretary James Kirke Paulding, the family ate breakfast out on Montpelier’s portico. Afterwards, Madison would ride around the plantation on his “pampered horse Liberty,” according to Ralph Louis Ketcham’s biography. The grounds at James Madison’s Montpelier. On rainy days, he would forego the ride and exercise by racing his wife Dolley across the porch. Madison met his wife through another Founding Father. While a student at Princeton University — then called the College of New Jersey — Madison had befriended Aaron Burr, who later became US Vice President and killed Alexander Hamilton in a duel. Burr introduced the couple in 1794. They were married within a few months. In contrast to his famously sociable wife, Madison was quite reserved. As a young man, he once lost his only hat while traveling. Unwilling to be seen without a hat, Madison hid indoors for two days, according to former Second Lady Lynne Cheney’s biography. A portrait of James Madison. Throughout his life, Madison kept up an intensive correspondence. Today, the Library of Congress holds a collection of 12,000 of his papers. Madison was always a voracious reader. “He went on to collect some 4,000 books, along with stacks of pamphlets,” reports the Daily Beast. He also quite enjoyed his whiskey, drinking a pint a day. In those days, that was considered quite moderate. James Madison at the age of 82. While in the White House, James and Dolley Madison would also serve guests ice cream. Popular flavors in those days included parmesan, asparagus, and chestnut. Dolley preferred oyster ice cream. The ice cream the Madisons served probably didn’t look like this. The Madisons were quite popular in DC and Virginian society, hosting numerous parties. During their stint in the capital, Dolley would travel all around the city, leaving invitations for friends and political allies. Attendance at some of those shindigs shot up to 500, prompting them to be nicknamed “squeezes,” according to Smithsonian Magazine. Despite this festive lifestyle, Madison would usually close out the day with tea at 7 p.m., and be in bed by 10 p.m. Statue of James and Dolley Madison at Montpelier.